Jinah Shim began learning the piano at the age of five with Rosie Cross. During her junior school years she represented the Northfield Festival at the National Piano Festival in London and was a winner of the European Piano Teacher’s Association competition. At the age of fourteen, she was the youngest finalist of the Glasgow International Piano Competition in 2005. She then went on to study with Professor Malcolm Wilson at the Birmingham Conservatoire on a full scholarship as a junior student. In 2011, she won ‘Chandos Young Musician of the Year’ and was invited to perform Schumann’s Piano Concerto with Chandos Symphony Orchestra a year later. She was also the first Guildhall winner of the 2011 Enescu scholarship offered by the Romanian Cultural Institute. In 2015, Jinah won 1st prize at Christopher Duke Piano Competition and won 2nd prize at Brighton’s Springboard Concerto competition. She is currently an artist for Making Music’s Philip and Dorothy Award for Young Concert Artists scheme. Notable past performances include Grieg’s Piano Concerto in Birmingham’s Symphony Hall and directing Mozart’s Piano Concerto No. 12 at the piano in Birmingham’s Adrian Boult Hall. She has performed other concertos with various orchestras, including Rachmaninov’s Piano Concerto No. 2 at Birmingham Festival Orchestra’s inaugural concert under the baton of the assistant conductor of the Hallé Orchestra, Jamie Phillips. She has also given solo recitals around the UK including London’s Wigmore Hall, Steinway Hall and St. Martin in the Fields. Not only is she interested in solo piano, she is also an avid chamber musician and she represented the UK at the Stellenbosch International Chamber Music Festival in 2014 as the pianist of Sonos Trio. Last year she performed with her piano quartet, Hill Piano Quartet, at Orpheus and Bacchus Music Festival in France. 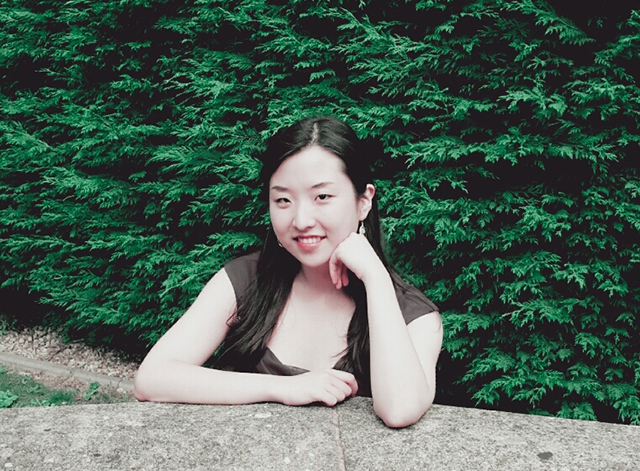 Jinah is currently a Guildhall Artist Fellow at the Guildhall School of Music and Drama in London, where she is studying with pianists Martin Roscoe, Ronan O’Hora and Noriko Ogawa.